In February, the Federal Housing Administration suspended for one year a regulation designed to hold back “flippers,” or investors who acquire single-family homes and then put them back into the market very quickly, often within 90 days. Back in 2003, the FHA decided to no longer approve loans on properties that were resold within 90 days of original purchase. In those halcyon days, the FHA feared flipping homes was causing prices in individual neighborhoods to unnaturally boom. Of course, back then everything was booming, and flippers — they prefer to call themselves investors — wondered why they were being singled out. Flippers have historically been mischaracterized and demonized, says JP Moses, founder of REI tips, or www.reitips.com. He is also a self-proclaimed flipper and his website was created as a nexus for those in the business. There are a small number of bad apples in this industry as there are in any industry, but they shouldn’t soil what is essentially a good, efficient and legal business. Unfortunately, they do. So how did Moses feel about the FHA reversing course? In Moses’ view, flippers are among the few groups of active investors at the forefront of redeveloping communities hard hit by waves of foreclosures and abandonment. That’s because they buy the REOs, rehab the properties and then put the homes back on the market as quickly as possible. “Who else is going to buy the flood of REOs, especially the ones in bad shape?” asks Moses. The rationale behind the FHA’s change of heart — albeit temporary — was that the agency concluded that acquiring, rehabilitating and reselling of REO properties often takes less than 90 days and prohibiting the use of FHA mortgage insurance for a subsequent resale within 90 days of acquisition adversely impacts the willingness of sellers to allow contracts from potential FHA buyers. That’s because buyers must consider holding costs and risk of vandalism associated with allowing a property to sit vacant over a 90-day period of time. Barrow is an investor, and his company, Private Market Real Estate in Denver, offers opportunities for others to invest in flip or rental opportunities. The 20 percent rule. If your resale is higher than 20 percent of your acquisition price, you’ll have to pony up some extra proof that the price was justified. “Most of the time investors are able to add more than 20 percent value to the property from the time they buy it,” says Barrow, “so there are some extra hoops you have to jump through.” In other words, if you buy a house for $100,000 and try to sell it for $125,000, the house is subject to additional underwriting guidelines, which is like a double appraisal. Title hold. Since a seller must hold property, that still means no simultaneous closings. “You can theoretically close on your purchase Monday, go into contract with your FHA buyer on Tuesday, and hopefully close with them in 30 days,” says Moses, “but you still can’t do back-to-back, same-day closes to an FHA end-buyer. Short-term funding. Investors still need to come up with short-term funding of the 30- to 60-day variety if they want to buy, fund and then sell to an FHA end-buyer. Previous flips. Basically, the subject property should not display a pattern of prior flipping activity, says Moses. 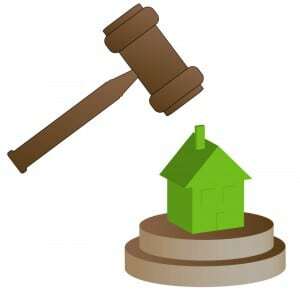 If a property has been, for example, wholesaled in the last 12 months, the FHA may flag the deal and disapprove. Moses calls himself a wholesale flipper, as differentiated from a retail flipper. The uniqueness being that the retail flipper buys a house, fixes it up, and eventually sells to the end user. A wholesale flipper is the person who sniffs a deal out and quickly resells to a rehabber or landlord without doing any work on the property. Wholesale flippers get a much smaller commission. See Steve Bergsman feature, Unlocking Future Home-Price Gains.